Antabax and bio-home emerged as winners of the Home Health Care Product Category of the Malaysia Health and Wellness Brand Award 2017. 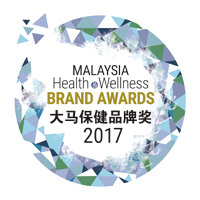 The Malaysia Health & Wellness Brand Awards 2017 is jointly organised by Sin Chew Daily and Life Magazine, with the panel of judges chaired by Secretary General of Ministry of Health Malaysia, Datuk Seri Chen Chaw Min, endorsed by the Ministry of Health Malaysia, the Malaysia Health Society, the Nutrition Society of Malaysia, the Branding Association of Malaysia, the Malaysian Chinese Medical Association and the Malaysian Pharmaceutical Society. as outstanding representatives of their product categories.